Fill out the conference evaluation! Mar 11th: Please fill out the Conference Evaluation! Mar 7th: The Conference Proceedings are now available in the ACM Digital Library. 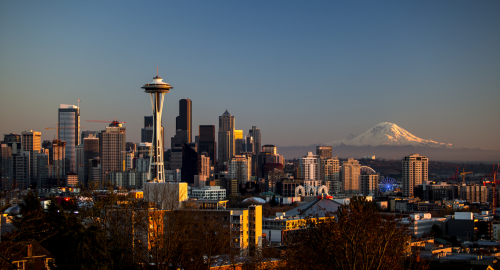 Mar 4th: We have a lot of great information for visitors to Seattle that you can use to guide your stay in this great coastal city! Feb 28th: See this year's Best Papers and Exemplary Papers. They are marked in the program so you can plan the sessions you wish to attend. Feb 28th: Next year's SIGCSE 2018 Call for Particiation has been posted. Feb 16th: Ground travel information for when you land at Seattle-Tacoma International (SEA) now available. Feb 14th: The official conference program is complete. Share and enjoy! Feb 13th: Check the hotel info if you are still looking to get the group rate! Feb 5th: Bringing kids? Register for Kids' Camp, sponsored by SIGCSE! Jan 30th: The online program is now live! Jan 15th: Workshops are posted. Your peers always provide a powerful learning experience, and the workshops are highly recommended. Jan 5th: Volunteer registration is now open. Students take note! Dec 18th: Info on pre-symposium events is now available. Dec 10th: The roommate database is now available. Dec 10th: Online registration is now open. Nov 13th: Hotel reservation information is now available. Nov 11th: Camera-ready instructions for authors are available. Oct 31th: The preliminary program is ready! Oct 27th: Camera-ready submission deadline announced: Dec 11. Oct 15th: Acceptance notifcations for papers, panels, special sessions, and workshops sent to authors. 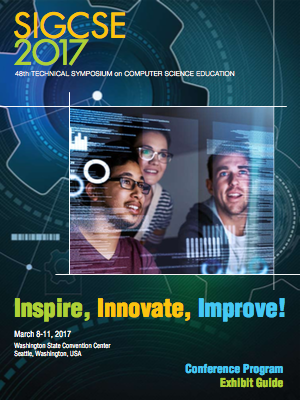 Sept 4th: Rates for SIGCSE 2017 have been posted. Aug 20th: An improved review process for SIGCSE 2017. Aug 3rd: When you're ready to submit, EasyChair awaits. Jul 28th: Guidelines for submissions posted. Jul 20th: Reminder of CFP and due dates posted. Jun 14th: Call for participation is posted.